MANILA, Philippines – The First City Providential College Royal Eagles defeated the Letran Squires Team B, 85-81, to win the Metro Manila Basketball League Division II championship at the San Beda Gym in Manila. Drawing steady firepower from point guard Joshua Moralejo and forwards Matthew Bravo and Theo Pabico, FCPC racked up leads of as many as 26 points, 67-41, at the 1:41 mark of the third period, following a strong drive by Bravo. Letran looked dead in the water, 67-44, with the third period about to end. At that point, only forward Kenneth Lim was doing the heavy lifting for the Squires with a team-high 19 points. Squires coach RJ Guevarra sent in backup point guard Greg De Las Alas for his last possession of the third canto. And the 5’5” guard knocked down a triple from about 28 feet to slice the lead to 20, 67-47, going into the last 10 minutes. At the resumption of the game, De La Alas hit another long-range bomb. And suddenly, Letran came alive. They blocked two shots by the Royal Eagles and began to find the range. With FCPC missing and Letran finding its second wind, the Squires uncorked a sizzling 34 point fourth quarter. They came within six, 82-76, after a trey by TJ Abdula, but there were only 17 seconds left in the game. Bucking the pressure, Bravo hit two pressure packed free throws with 17 seconds left to make it a three-possession ball game, 84-76. Letran responded with four more points, but time simply wasn’t on their side. Moralejo, who scorched from the field for FCPC, scored a game-high 28 points. Pabico added 19 while Bravo finished with 16. For the hard-luck Squires, who took two losses in the MMBL championships (their Team A loss the Division I crown to San Beda), after Lim’s team-high 19 markers, De Las Alas scored 15 points, including 11 in the fourth period, while Abdula chipped in 13. 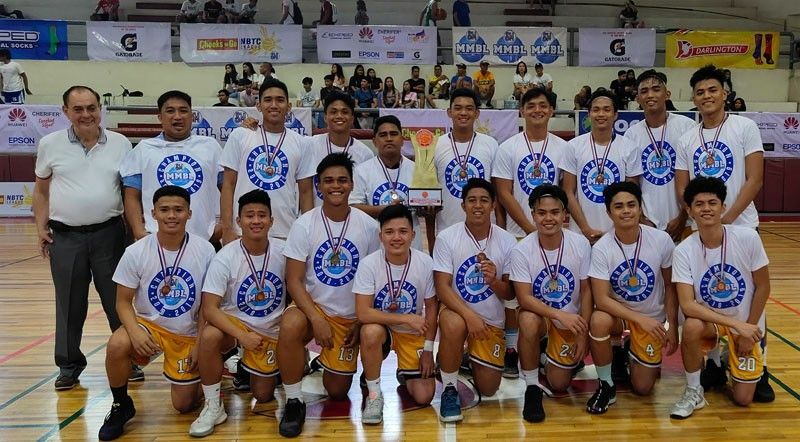 With the huge win, the Bulacan-based FCPC qualified for the 2019 Chooks to Go NBTC National Finals presented in March. A glowing FCPC head coach RJ Decierdo was ecstatic about the title and the win that sent them to Big Dance. “Buti na lang medyo malaki yung kalamanagan naming kasi nabuhay yung Letran sa dulo. Maliit lang kami na iskuwelahan pero fight lang kami. Yung mga bata sinasabak ko talaga sa mga liga rito sa Manila para masubukan kasi nandito yung best competition. Malaking bagay na makakalaro kami sa Division 2 championships sa Mall of Asia Arena. Pangarap ng mga bata na makalaro roon,” he said. The Chooks to Go NBTC presented by SM is also sponsored by Freego, Exped Socks, Purefoods and Gatorade.